- Select Option -10 lb.15 lb.20 lb.30 lb.50 lb.65 lb.80 lb.100 lb.130 lb.200 lb. 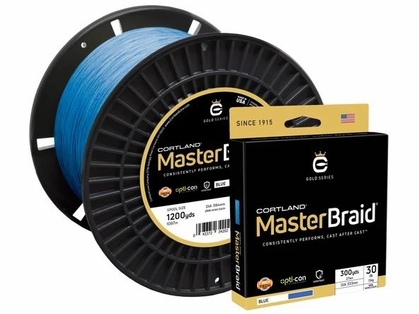 Cortland Master Braid Fishing Line is the toughest, most durable and best-handling super braid on the market today. 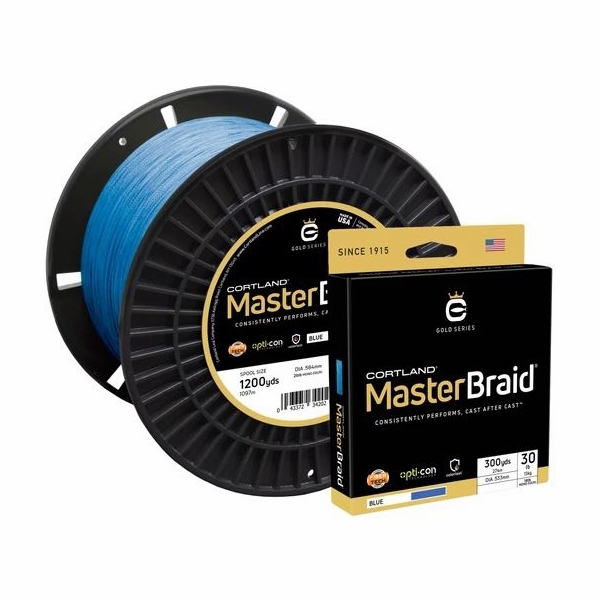 Braided from premium gel-spun fibers woven into a tight, round braid for longer casts, less twist and extended life, Master Braid packs evenly on the reel without digging in. With exceptional tensile strength and only 4 percent stretch, Master Braid shines at strike detection and sets hooks instantly. Treated with FiberTech protection that penetrates the weave and bonds with the individual gel-spun fibers to stiffen and improve handling characteristics of the line. With hydrophobic properties to repel water, Master Braid casts effortlessly with either spinning or casting reels, slices through the water with minimal line drag and comes back dry. shame on you Cortland you lost another customer!!!! This is No Doubt the Best Braid out there. Cortland has been making fishing lines for 100 years. They know what they are doing. They don�€™t have some other company make it for them. They have all the top equipment to make their own braid, and they stand by it!!! It is pricer than other braids, but with this company you can have true confidence out on the water, that you CAN depend on this line. And you can always contact the company here in the US if you would like. I�€™m a nobody, just a fisherman from Chicago. I have nothing to do with Cortland. But in my search for a great trustworthy Braid, I found it in this one. Day in and day out it performs, and I have NEVER experienced a break off. You won�€™t be disappointed if you try it. ConsPrice- You may pay more, but you WILL have confidence in this line. It�€™s Awesome. Great stuff! color lasts forever on the line.good for surf fishing plugs or bait fishing. Glad tackle direct carries this line now. hopefully in bigger spools soon. Cortland has been around for 100 years and made parachute cord during world war II. Reviews and feedback on braided lines can be very mixed. That being said the most common feedback on the Cortland Master Braid is that it is a very soft, supple, smooth casting braided line. It is not comparable to hollow ace because it is not a hollow core line.